*Nightcrawler (Kurt Wagner): Nightcrawler was born in Germany as a blue devil looking boy. Because of his looks, Kurt grew up in the circus. Nightcrawler is the son of Mystique and Azazeal. 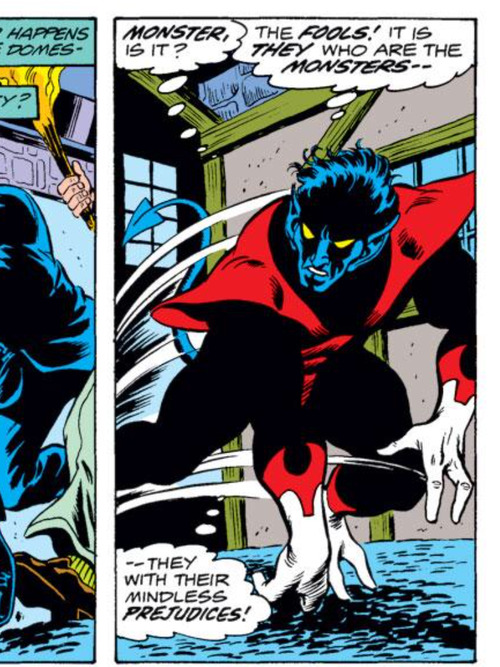 -Powers: Nightcrawler has the power of teleportation. He can teleport himself, his clothes, and a certain amount of additional mass from one point to another at distances of up to 2 miles. *Wolverine: Wolverine was born as James Howlett in Canada in the 1880s to parents John and Elizabeth Howlett. 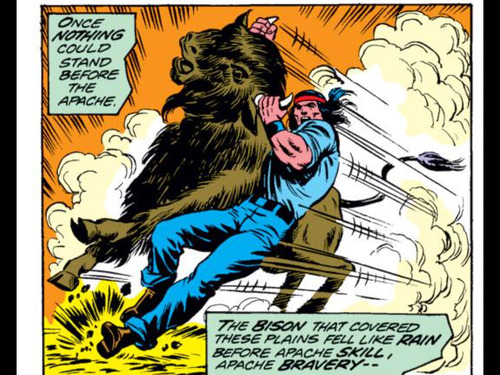 At some point in his life, Wolverine was kidnapped by the Weapon X program and experimented on. 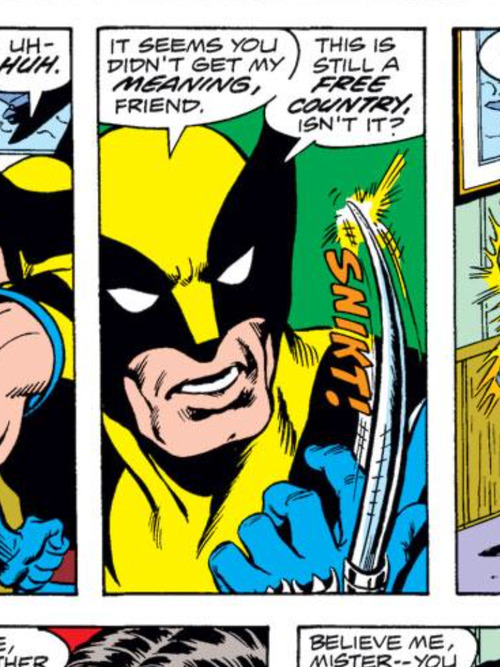 The scientists at Weapon X give Logan a adamantium skeleton. -Powers: Wolverine has a very powerful healing factor. His adamantium skeleton also makes him have high endurance. He also has adamantium claws in his hands. 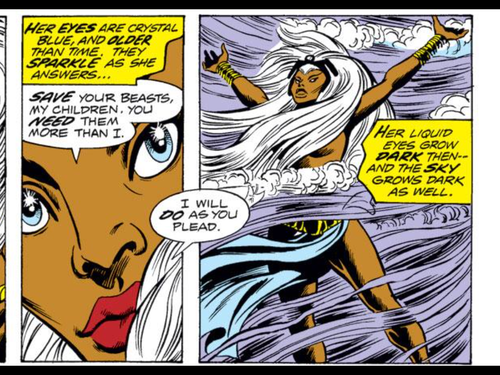 *Storm (Ororo Munroe): Storm’s mother was a princess in Kenya who fell in love with an American man named David Munroe and moved to Harlem with him where Storm was born. Ororo’s family eventually moves to Egypt. As a young woman Storm moves to the Serengeti where she is worshiped as a goddess because of her powers. -Powers: Storm has the power to manipulate the weather both on Earth and in space. *Colossus (Piotr Rasputin): Colossus is a Russaian mutant who was raised in Siberia. He is the older brother of fellow mutant, Magik. 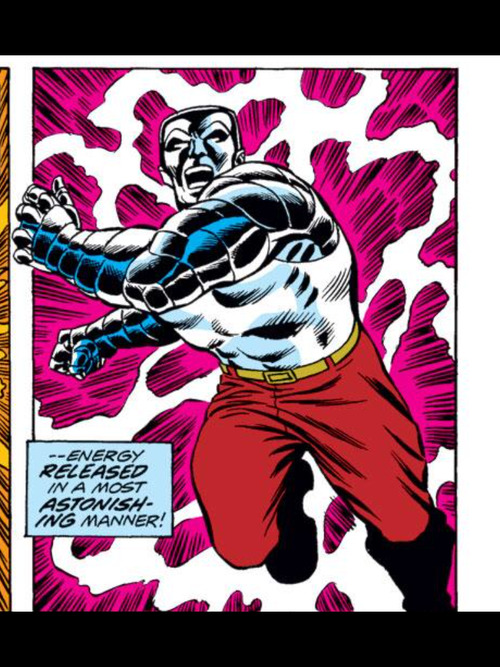 -Powers: Colossus has the power to turn his entire body into a form of organic steel making him strong and durable. *Thunderbird (John Proudstar): Thunderbird was born to the Apache Tribe in Arizona. He fought in the Vietnam war and became a corporal. -Powers: Thunderbird has superhuman senses, strength, speed, stamina, and endurance. *Krakoa: Krakoa is a living island. -Powers: Krakoa is an intelligent ecosystem that is able to command all the living things native to its island body. 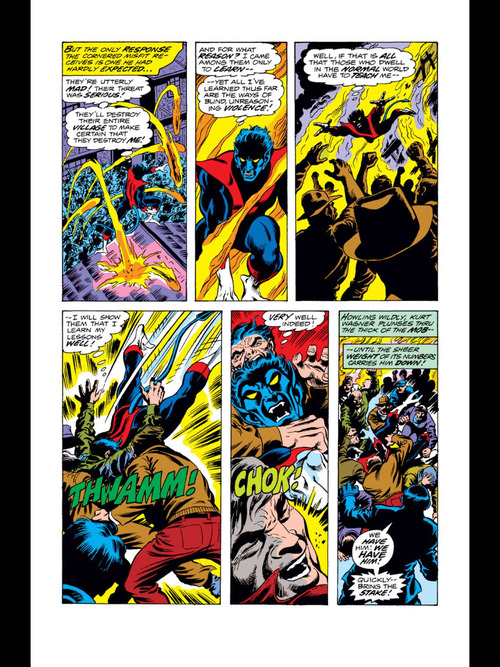 This giant sized issue begins with Nightcrawler being attacked by an angry mob. 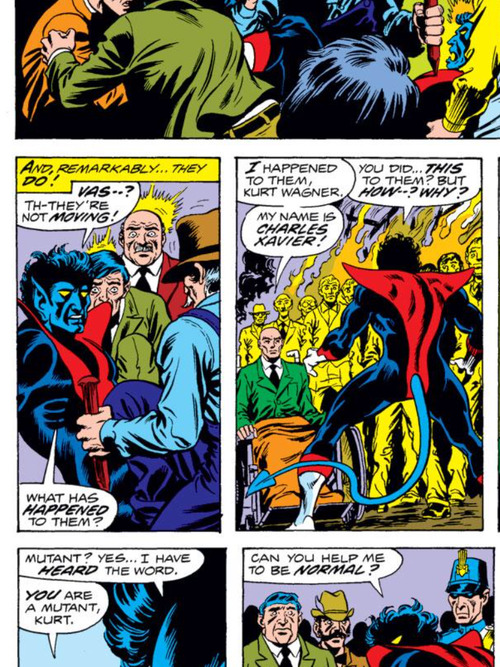 As Kurt begins to lose the battle, Professor X appears and freezes the mob. 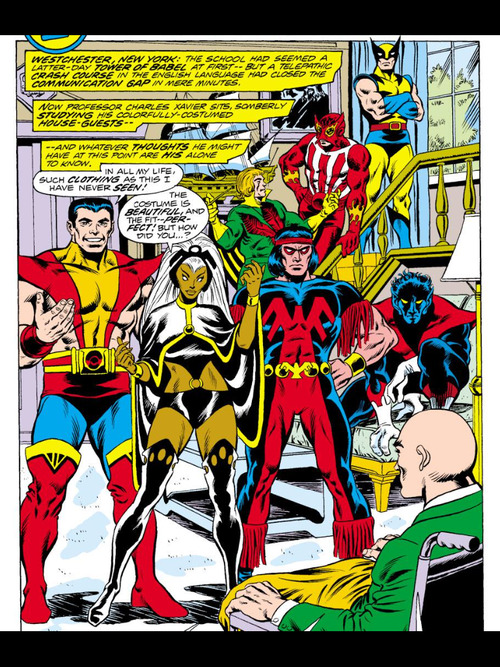 Professor X then recruits Kurt to join the X-Men. 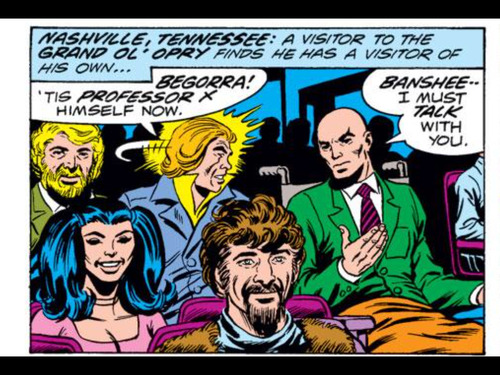 Professor X then recruits Wolverine to join the X-Men. 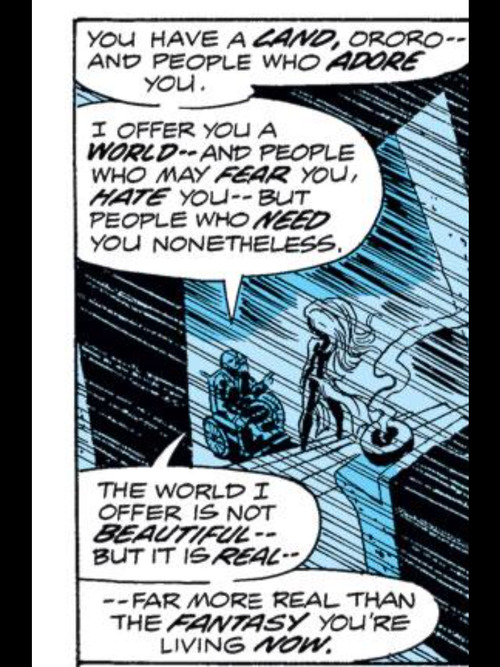 After Wolverine agrees to join the team, Professor X convinces Banshee to join his efforts. 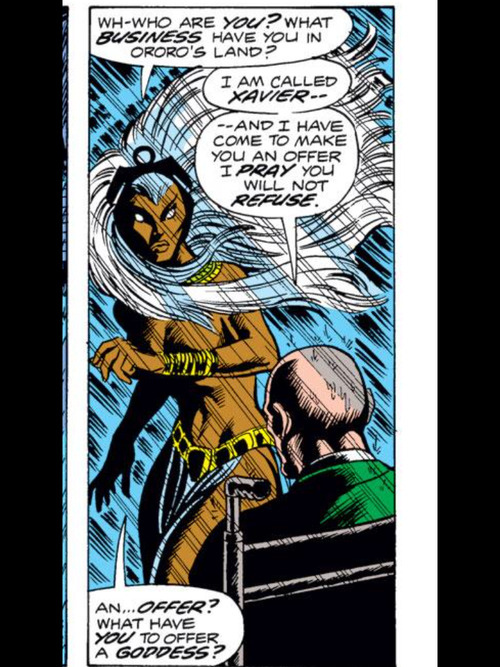 Professor X then flies to Africa and convinces to Storm to leave the land where she is a goddess to live a more “real” life as a member of the X-Men. 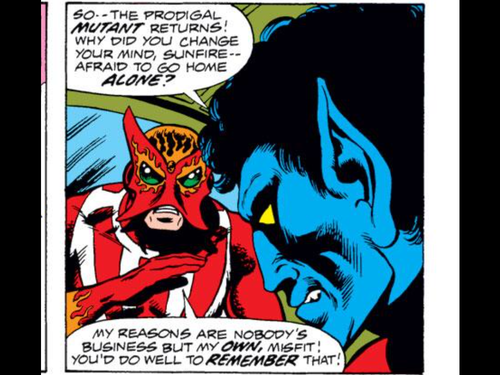 The next mutant that Professor X recruits is the ever-arrogant Sunfire. 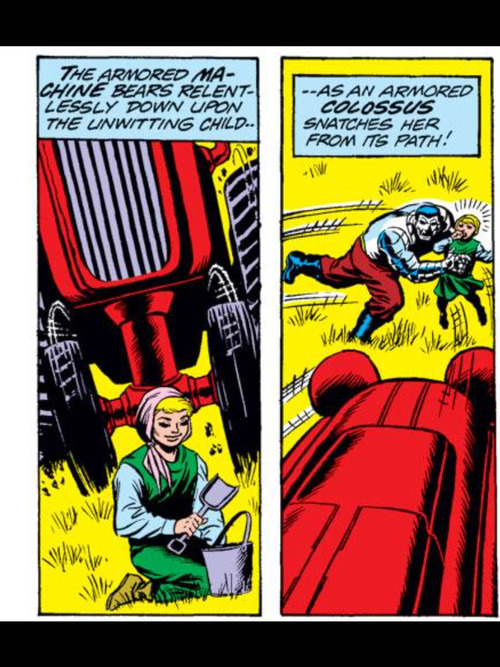 Charles then goes to Russia and witnesses Colossus rescue Magik from an incoming tractor by stopping the tractor with his body. Colossus then agrees to join the team. 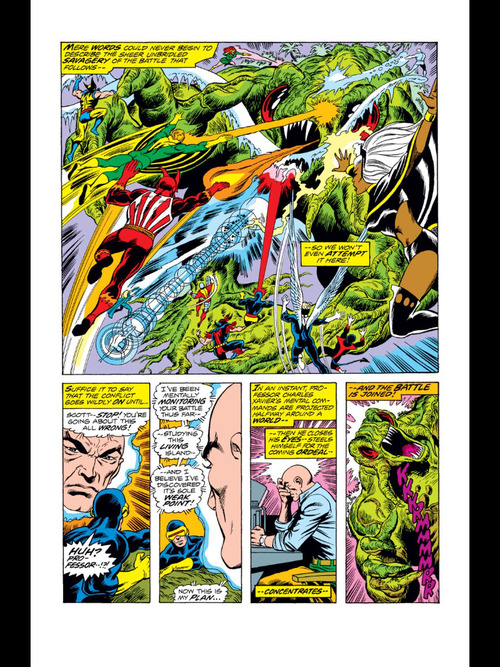 The final mutant that the Professor recruits is Thunderbird. 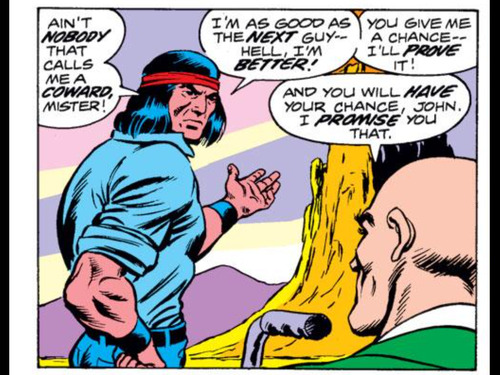 Proudstar is hesitant to join the X-Men until Charles mocks the Apache people. Now that Professor X has formed a new team of X-Men, he reveals to his recruits that the original X-Men have disappeared on a mysterious island and he needs them to find the team. Cyclops will be leading this new group of X-Men. 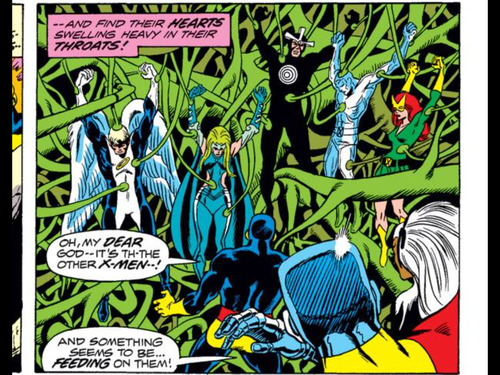 When the X-Men reach Krakoa they split off into groups to investigate the island. The pairings are then attacked by Krakoa. When the X-Men regroup, they realize that the island is alive! 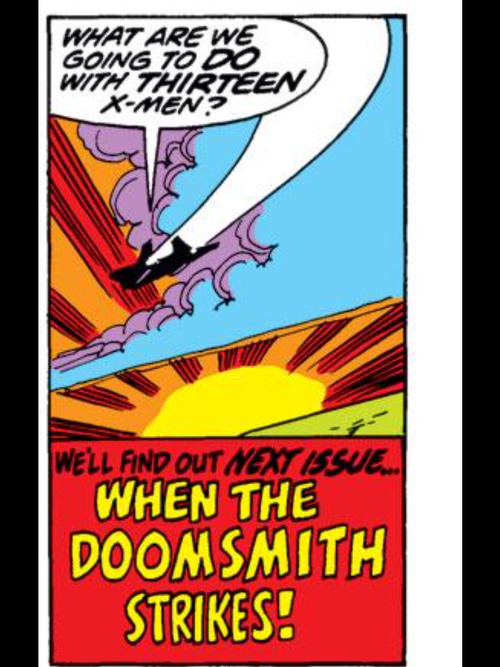 And that the island is stealing the mutant energy from the original X-Men! The new X-Men free the old team and the two teams battle the island, but they are losing. 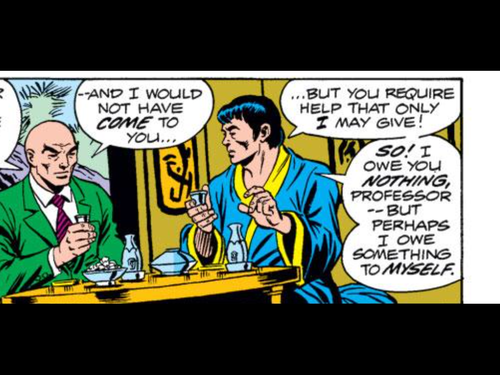 However Professor X has a plan. Charles distracts the island with his mental powers while the rest of the team combine their powers. Storm then shoots lighting at Lorna, who converts the lightning into magnetic energy. Cyclops and Havok then shoot their energy beams at Lorna’s magnetic energy and the beam goes through the ground to the Earth’s core, killing Krakoa. The X-Men are then caught in a tsunami, but they are able to escape and return to the mansion safe and sound. I have been waiting for this issue for a long time and it did not disappoint. 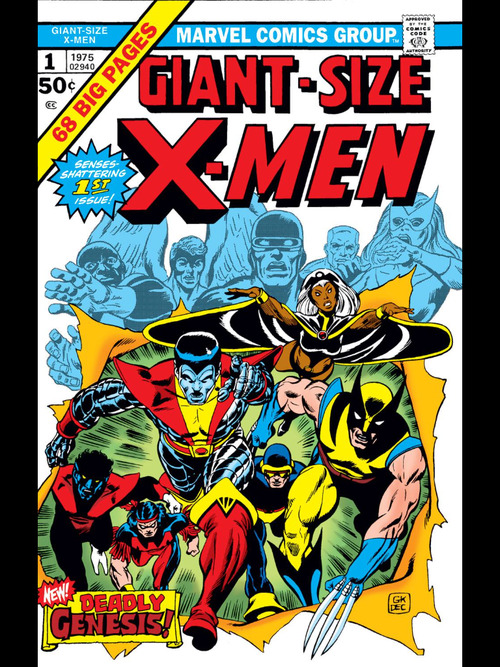 With the introduction of some of the most iconic X-Men ever, there was no way that this issue could be bad. I am unbelievably excited that Wolverine, Storm, Nightcrawler, and Colossus are now a part of the team. However I will be bummed to see most of the original X-Men leave for now. Most of this issue was used for character introductions, but I didn’t mind. Each introduction section was interesting. I also really enjoyed the Krakoa storyline. Even though Krakoa is a ludicrous villain, he still led to a good story. (Even if the story was really just a frame for how they could introduce a new X-Men team). I always like power team ups so I was happy to see the X-Men combine their powers to stop Krakoa. I don’t really have anything major to critique about this issue because I thoroughly enjoyed the whole thing! 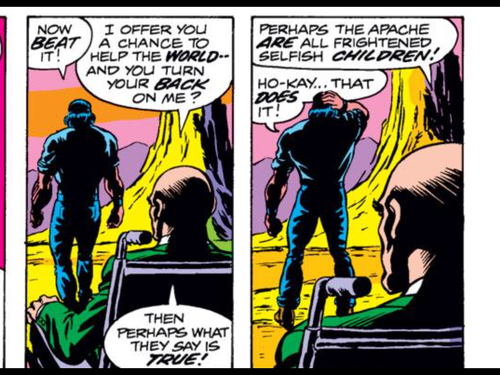 My only small problem with this issue is that Professor X mocks the Apache. It was in bad taste. 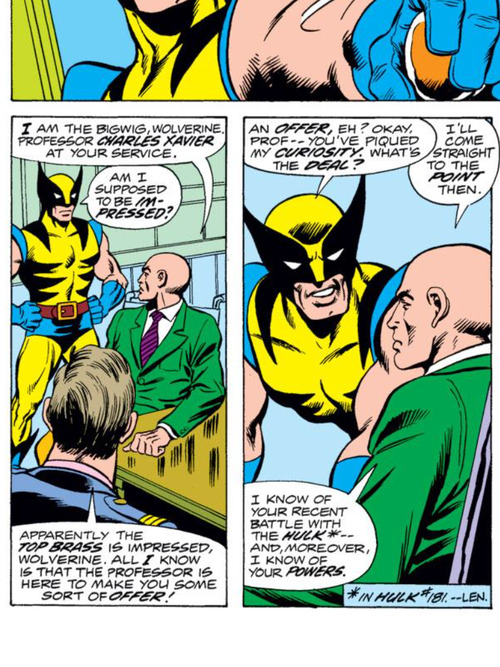 I am going to let that slide though because the 1970s were a very different era and I can’t let one line from Len Wein characterize Professor X in a negative light. Besides that though this issue was absolutely great and definitely worth its 5 star rating. 1. 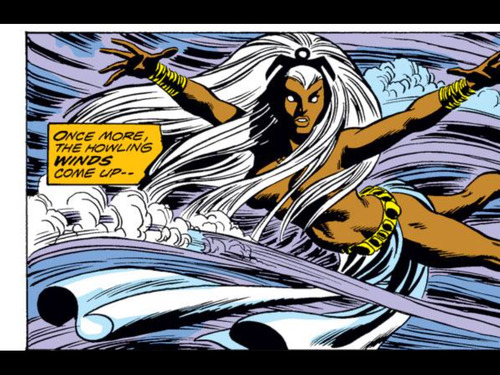 Apparently Storm never wore any clothes when she was a goddess. 2. Beast unfortunately looks like an owl currently. 3. 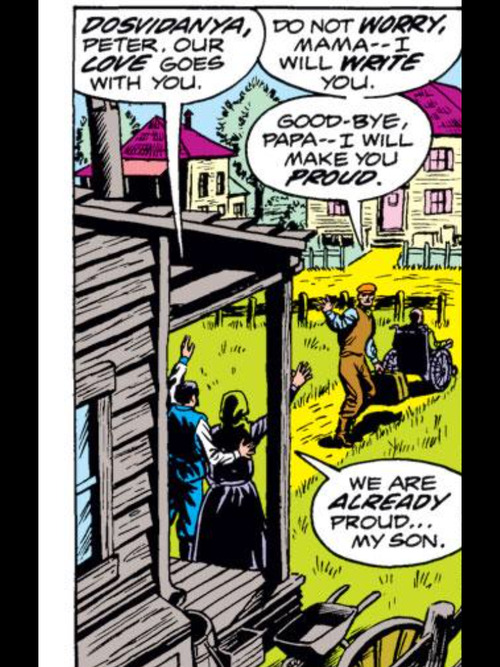 Colossus’ parents are awesome when Piotr leaves his home. 4. 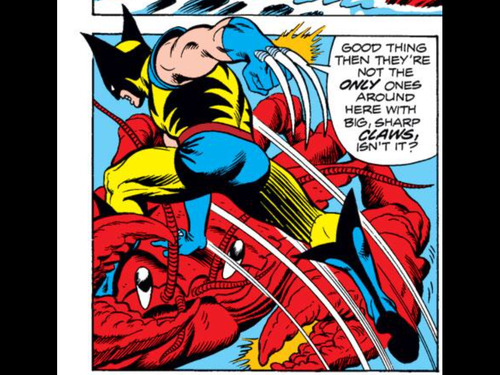 Wolverine versus a giant crab! 5. 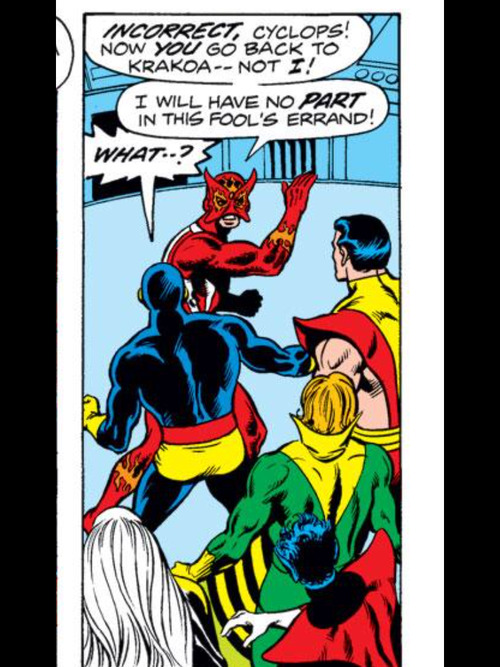 Sunfire quits the team and then rejoins the X-Men in a matter of just a few pages and it is great. 6. 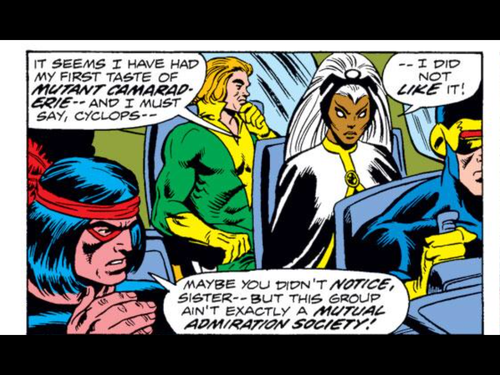 Cyclops has to make the tough leadership decision as to whether to risk Polaris’ life to save the world and he chooses to put Lorna at risk. 7. 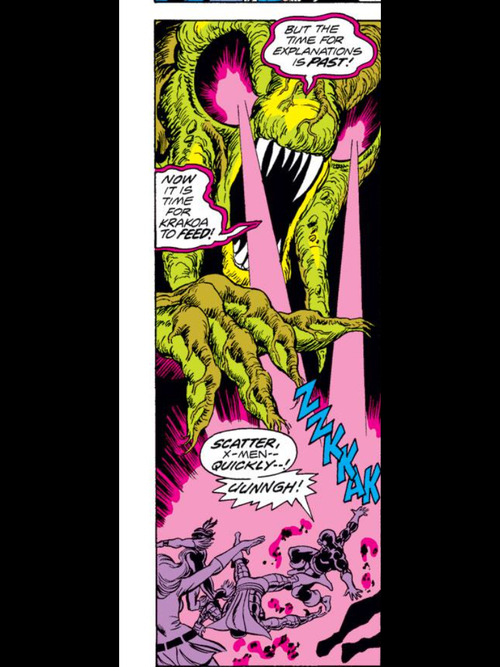 Krakoa has crazy eye beams. 8. It was nice to see a couple panels of little Ilyana but I can’t wait for her to be a recurring character! 9. 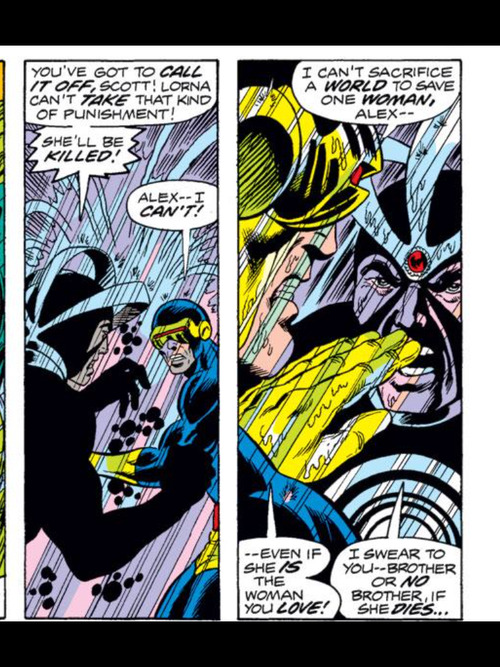 The X-Men do not get along in the beginning and their bickering is great. 10. 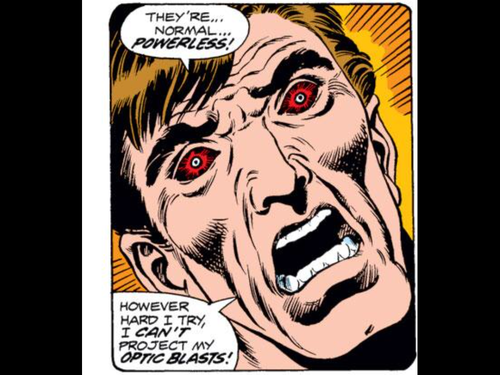 Cyclops’ eyes without his powers are terrifying. 11. The Bobby-Lorna-Alex love triangle continues. 12. I love seeing the new group all together. 13. And finally the issue ended with this panel. What will the X-Men do with 13 X-Men? Sadly, some of them are going to leave the team. I do find the story a bit silly. This issue is very notable, but I can’t rightly say it’s a great comic. The characters are all interesting, though. Wow, awesome issue. I’m glad we finally gets to see Nightcrawler and Collosus (I spelled that wrong). Which explain the change from “uncanny” to “giant”. Me too! It took so long for those characters to get introduced. Great link thanks for sharing! 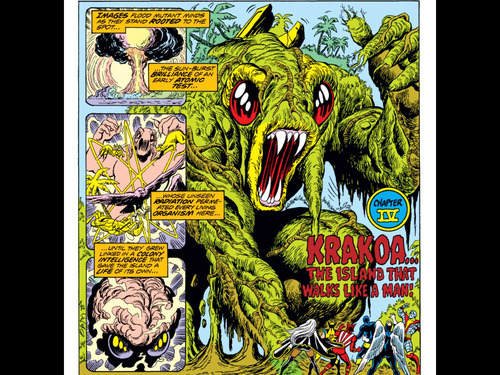 The invention of Krakoa, the Living Island is a somewhat smaller adaptation of the idea of Ego, The Living Planet. (This same idea was used for the Green Lantern Mogo, who is also a living planet). Later, this story was retconned to introduce the third Summers brother, Gabriel, aka Vulcan. Yep everyone’s least favorite Summers brother. Thankfully Vulcan is rarely used. Not a lot of brothers in comics. 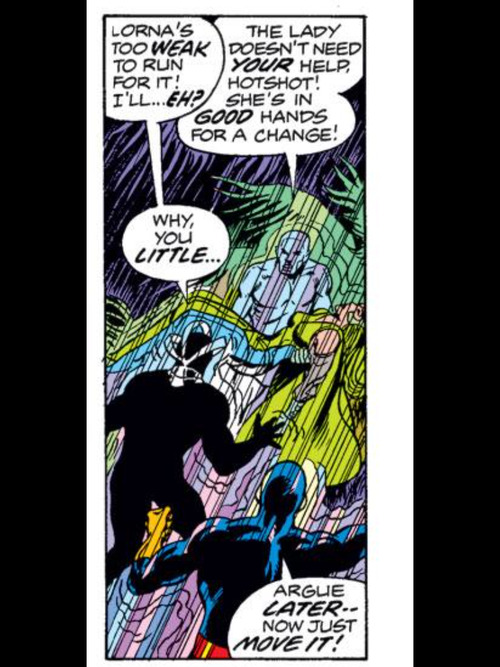 Wanda gets along pretty well with Pietro, as does Sue Storm Richards with Johnny. Wolverine and Sabretooth? I’ll go out on a limb and say it’s not the healthiest relationship. Stryfe and Cable, not good; Xavier and Juggernaut, not great. Then there are clone brothers, as Daken is to X-23, and Ben Reilly to Peter Parker. Then Nick Fury is supposed to have one…I suppose there must be more. Haha yeah Krakoa is an absurd villain, but this issue made me smile throughout.